Have you ever wonder? Though you are doing everything correctly still you are not making money with your blog. If blogging is simply writing great content and promoting it and then Why does your blog is not getting successful? To get these answers, you must read this article. Hereby, in this article, we have shared the 3 top reasons, Why your blog is not working for you? If you check online then there are billions of articles written on how to make the blog successful? Almost every blogger who has written those articles claimed that you can build a successful blog if you follow the givens tips. Next, though you follow there given tips, I am sure, you will be still struggling to make your blog noticed.Right? This is because you are doing something wrong and you are not aware of it. Confused? Don’t worry. The below article will clear everything. After reading the below article, you will automatically comes to know, What wrong you are doing? Why Your Blog Is Not Getting Successful? 1 Why Your Blog Is Not Getting Successful? But, before starting with the article, please note down the below points. In this article, we will not share any reason related to your blogging niche or writing style. Instead, we will tell you the basic structural reason behind blog failure. We have written this article, assuming you are doing everything correct and still not making money from your blog. Hence, this article is must for every blogger who recently started a new blog or struggling to get his or her blog noticed since a long time. Trust me, below we have highlighted ony the real reasons for not failed in building successful blog. So, What are we waiting for? Shall we start? This is the first and the most important reason, Why your blog is not getting successful? I strongly suggest, never follow any successful blogger blindly. If you think, whatever he or she is doing is right then its your biggest mistake. Always remember, no two blogs can be similar in nature. If a given technique worked for him then it doesnot mean it will also work for other blogs. Hence, don’t try to implement all the suggested techniques on your blog. Always, think twice before implementing any tricks and tips suggested by anyone. Next, it is also advisable to ask for proper way to implement the given technique. Remember, there is a huge difference between Simple Implementation and Successful Implementation. So, asked them how to implement the given technique succesful. The best way to get this answer is asked for the pros and cons of given techniques. If you think there is no harmful impact of the given technique then you can go with the same. But, I strongly suggest do not implement all the given techniques unless you are not sure about it. I have seen many beginner blogggers, who follow the successful bloggers blindly. Starting from domain name to blog’s theme, they have copied every thing from the successful blog. Accordding to them, if they kept everything similar to successful blog then there blog will also get successful. Yes, they are right. But provided they know the meaning of similar and copy. Your blog will not get successful if you copied everything from the successful blog. Remember, there is no logic in using the name of your successful blogger within your domain name. For example, I have seen many blogger using the name Shoutmetech, Shouttech, BloggingShout etc. on their domain name. Do you really think? 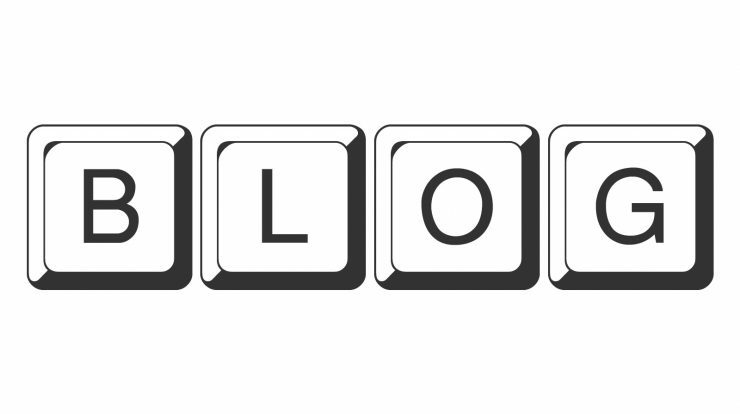 Using the name of successful blog in your domain will really help you? Of course not. Then, What is the logic of using such kind of name? But, instead go and find some good name for your blog. Trust me, this will help you better. Next, by just copying everything you are indirectly marketing your own competitor. Just imagine? Who will like the duplicate brand? If you are asked to select any of these brands, What will you select. Whether you will select ShoutmeLoud or ShoutmeTech? Ofcourse, you will select the Shoutmeloud blog. But, Why? This is because, it is original brand and the rest are the duplicates. The similar logic applies when you copy any successful brand from your niche. Your blog will not get successful because you have copied the original brand. Hence, We strongly suggest to try something unique on your site. Don’t copy anything from the successful brand. Blogging is not simply writing a good content. If you think you will keep writing great posts and people will find you eventually then you are wrong. This can’t be possible. Your blog will not get successful without promoting and optimizing it for various search engines. Hence, it is very important that you should posses basic technical knowledge related to blogging at the time of starting a blog. At least, you should know the meaning of Search Engine Optimization and various terminologies related to blogging site. Yes, you can hire an consultant to take care of this but in this case you need to pay a good money to him or her. Hence, this will work only if you have good amount of money available with you. Suppose you are a complete beginner and you are not aware of the term ‘Royalty Free License’ at the time of starting a blog. In this case, you simply keep adding the images from the google and one day you will get the legal notice from the copyright holder. Next, it would not possible for you to go back and change each and every uploaded images and thereby you will feel regreted for it. So, just because you don’t know the meaning of ‘Royalty Free License’,now you will need to shut down the blog. Hence, I strongly suggest to do some basic research before going too far with your blog. At the inital period, spends most of your time in learning the new things rather than simply addding more content to your blog. New Blog Posts can be added later to the site but it can’t be edited easily if you have missed out something earlier. Your blog will not get successful overnightly. It will take some time. Trust me, if you keep working on your blog continously then one day, it will really repay you. Your blog will get successful and you will start making good money from it. All you need to do is follow the successful bloggers and use your mind to implement there tips and tricks. I strongly suggest to plan all your activity properly and always have the long term approach while working on the blog. Next, I strongly to avoid any shortcuts. Trust me, it will not work for you. I have seen many bloggers who don’t add any content on their blog and instead keep asking for free guest posts. They are so over confident that they think to make huge money by sharing guest posts on their blog. I don’t understand, how one can make money by simplying allowing guest posts on the blog? If you are such kind of blogger then truely speaking, no one can save your blog. Building a successful blog requires hard work and dedication. Shortcuts will not work here in this case. At last, I strongly suggest to work both hard and smart way on your blog. Trust me, one day, your blog will get successful.